You may have seen his Netflix special, Stay Hungry, and now you have the chance to see him LIVE! Enter to win a pair of tickets to see the comedian, Sabastian Maniscalco at the Paramount Theatre on Thursday, April 18th! *Contest ends April 17, 2019. 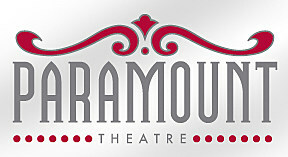 The Paramount Theatre is a 1,690 seat historic theater located in downtown Cedar Rapids and owned by the City of Cedar Rapids. The Theatre’s mission is to provide the citizens of Cedar Rapids and the residents of eastern Iowa with the broadest possible range of top quality cultural, educational and entertainment events.